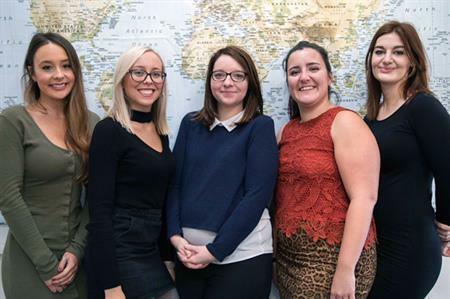 Venues and Events International has appointed three new onsite client event managers and promoted current employee Josephine Bradley. Sophie Brown, Eloise Perry and Magda Junqueira join Holly Vallerius, who was recruited by the Swindon-based agency in July last year. The team of four now report into Josephine Bradley, who has been promoted from commercial & marketing manager to commercial & events director. Each of the new recruits has a background in events, with Brown having previously worked for Nationwide Building Society as events co-ordinator. Perry brings a wealth of experience working with student party planner Eskimo 11, and Junqueira joins from Equimedia where she worked as digital marketing co-ordinator. Commenting on the newly formed team, Venues and Events International, commercial & events director, Josephine Bradley said: "I’m thrilled that my events team is now in place. They have an excellent track record in managing a wide variety of events and have already proven to offer a unique skill-set when it comes to onsite client management and event logistics. Every client needs to know that their events are in safe hands so I’m really proud to be managing four of the safest pairs of hands around."